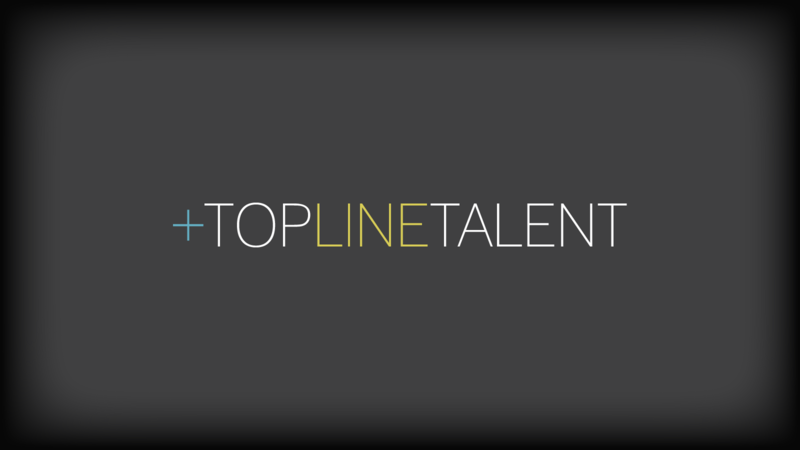 What is Top Line Talent? Top Line Talent trains leaders and professional salespeople how to add strategic value to client relationships. Our mission is to transform careers – our goal is for you to bring your best self to work each day! Becoming a Strategic Leader introduces an innovative, science-based model that shows you how to exploit your natural personality to strategically transform your career. The TLT Test Drive is designed to provide you with an overview of the Top Line Talent experience. Throughout the TLT program, you will be asked to answer questions and reflect on the material presented in each lesson. Your responses will be published in your personalized eBook available for download at the end of the program. Click below to see examples of journal activities. The audio book is a key component of the TLT program. Listening to the material while you move through the program is a vital part of the learning experience. The audio book expands upon the activities covered in the on-line portion of course. Click below to listen excerpts of the audio book. Top Line Talent is a ground-breaking, on-line training experience that coaches business development professionals to become strategic partners with customers and clients. What does Top Line Talent Train? How to add strategic value to earn trusted business partner status. How to sharpen listening skills in order to more deeply resonate. How to communicate with greater confidence and presence. How to understand your personality strengths to maximize potential. How to improve emotional intelligence through greater self-awarenes. How does Top Line Talent work? The 4-month program is delivered through 28 lessons using multiple modalities: an audio book, videos, interactive journaling, practice exercises and an eBook. Only Top Line Talent is delivered in a method consistent with the brain science of how people learn and change behavior. New complex skills are best learned over 3 to 4 months in 20 to 30 minute increments. The on-line program, in addition to customized workshops and webinars, provides the best in high tech and high touch learning. Watch our 14-minute test drive for an overview of program content. Founder and CEO, Chandrakanth B.N. is a passionate creator and a true entrepreneur who left a high flying career in the US, to chase an Indian dream. He has been involved in establishing several companies since 1996. His ventures have ranged from IT Services, Digital Media operations, Manufacturing and Training. As the chairman of Pairee, he overseas several investments made by the company. Chandra holds a master’s degree in industrial management from Northern Illinois University, Chicago and a B E degree from Bangalore University. He is a leading voice in the IT Industry and regularly speaks at global conferences. He is also an active member of various industry groups in the technology world. Documentaries made on him for his successful ventures have been featured on national and regional TV channels. Pairee Learning is an organization with a strong purpose to contribute to enterprises by building their communication, behavioural and leadership competence. Founded in 2002 as Mindspeed and acquired by Pairee in 2016, Pairee Learning boasts of a decade and half of experience in Behavioural, Communication, Interpersonal, Leadership & Sales skills training. Pairee Learning provides complete training packages from need analysis, assessments, customized content, training delivery and follow-up coaching. Nearly 200,000 professionals have been trained since 2002. Over the years, Pairee has been retained for designing and delivering workplace communication, English language assessment and personality development programs by some of the biggest names in the IT, Manufacturing, Real Estate and BFSI industries in India. Pairee is the exclusive partner for Top Line Talent in India. As an entrepreneur, inventor, and policy maker I know that effective selling is critical at all levels. When I learned about Top Line Talent's (TLT) innovative online sales training program designed and developed by my friend Dr. George Watts, who has substantial background and experience in psychology, I immediately thought about applications in India to train salespeople for globally competitive markets to improve sales and fuel growth. TLT's training program is designed to focus on various important sales elements that result in ultimately closing the deal. It essentially trains salespeople to build strategic partnerships and long-term relationships with customers to deliver performance. Top Line Talent, in my professional opinion as both an executive search professional and behavioral psychologist, is the most robust, immediately effective consultative selling skills training in the market today. Dr. George Watts is a true subject matter expert. And the learning principles and patterns taught are universal and global. I have recommended TLT to every one of my CEO clients as the best coaching and instruction for all outwardly facing, revenue generating people. TLT increases productivity, improves morale and reduces turnover. Top Line Talent has fundamentally changed the game in the world of consultative selling skills training. They have leveraged the latest scientific findings in neuroscience combined with the state-of-the-art utilization of technology to deliver a high impact, low cost, long term solutions to corporations. The results are amazing; people develop meaningful skills practicing on current customers and prospects. No other program is based on science or delivers results like TLT. The business model is like no other experience. I recommend putting your entire sales force through Top Line Talent and you will see measurable results. As a former top producer and now a senior sales leader, I can say that Top Line Talent stands alone. No other sales training program utilizes the power of self-awareness and leveraging your natural strengths. TLT also teaches an amazingly simple, yet super effective way of resonating with people. TLT graduates know how to add strategic value to every deal! I will send every one of our salespeople through Top Line Talent... it works! Top Line Talent is hands down one of the best sales training programs I have ever been through. This program sets the bar as the superior sales methodology! I was skeptical at first because it was self-paced, online and over the course of 3-4 months versus actually going through a face to face course. However, after going through the program, I highly recommend this based on the scientific and retention aspects alone. This program clearly outlines how personality type fits into the overall consultative sales process and why this is so imperative for an effective sales organization. The psychological aspect of this program alone is something that is clearly lacking in other sales training programs. Dr. Watts is brilliant and anyone who has anything to do with sales is missing out by not working with him! Lesson Fifteen - Start Listening to Me! George W. Watts, Chairman of Top Line Talent, is a nationally recognized author and behavioral scientist. His passion is inspiring people to unlock their highest potential. His message is simple and timeless - for optimum success, discover your natural strengths and find the right platform to leverage them. George delivers acclaimed leadership seminars and sales training programs throughout the world, coaching CEOs how to build formidable sales teams. Thousands of people have experienced his approach and commitment to teaching his powerful principles of professional development. For years, he was on Chicago radio with his show, "The Business Doctor." He received his doctoral degree in Counseling Psychology from the College of William and Mary, and is foundation board president for the Society for Psychologists in Management (SPIM). His latest book, Becoming Your Own Business Coach, is required reading in many universities and colleges, and he has published many professional articles on talent management. Laurie Blazek, President and CEO of Top Line Talent, has over twenty - five years of consultative sales experience as a Managing and Executive Director for several large multinational banks including: JP Morgan, Bank One, First Chicago, Citigroup, and Bank of America. In 1987, after she completed First Chicago's MBA Corporate Finance Training Program, she marketed a variety of financial products/services and capital markets products to large and mid - sized corporations. She became specialized in the area of media and communications, spending several years as a strategic financial partner offering leveraged finance advice and funding to growing media companies. She also spent many years marketing structured loans and financial products to ultra - high - net - worth individuals and their businesses. Laurie received an MBA, with a concentration in Finance, from DePaul University and an undergraduate degree in Business Administration from Illinois State University. She's a frequent writer and speaker on a variety of financial planning topics and has been interviewed for financial publications such as the Wall Street Journal. She is also co-author of the book/coaching program and co-creator of the intellectual property contained in the course. Priced at $750.00 per participant, the four-month Top Line Talent on-line program consists of an audio book, videos, interactive journal, and personalized eBook. Participants also enjoy access to resource materials, periodic webinars, blogs, and video vignettes that provide terrific on-going career development. Click here to recover your username. Or reset your password using your username. Hours of operation are 8am - 5pm EST. All after hour messages will be returned the following business day. You may also fill out a trouble ticket. All tickets will be responded to within 24 hours of being sent.